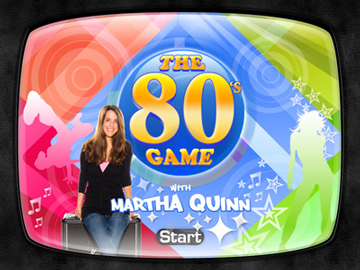 The 80's Game with Marth Quinn is a new trivia title based on 1980s pop culture, for which original MTV VJ, Martha Quinn, is the face and voice of the game. 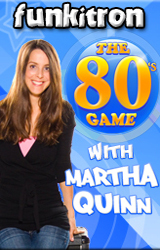 Covering several different genres including movies, television, sports, politics, music, and celebrities, The '80s Game With Martha Quinn offers fans of the 1980s a new way to relive that exciting time period when brat packers, break dancers, new wavers, valley girls, and mods ruled the world. Classic 80s MTV VJ Martha Quinn Is Your Host! What Year Did This Happen? Bonus Questions. Brand New! 80 Fantastic Trivia Episodes To Play Through. Can you get through them all? 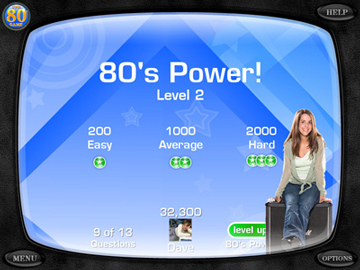 Challenge Mode tests your knowledge in areas of Music, Movies, Sports, TV and Wild Card. 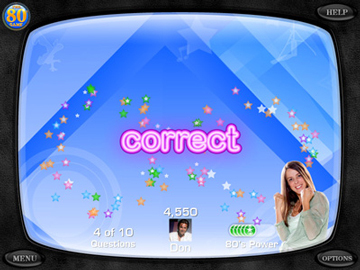 Can you win all 5 stars in each? Cool 80s Gear To Collect For Great Plays. Can you win the Delorean?